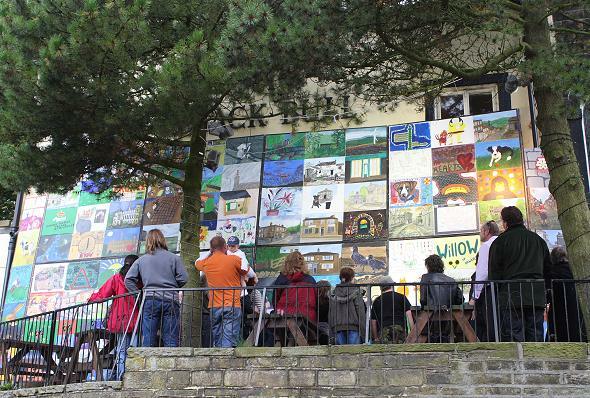 The “Everyday Haworth” of 100 painted canvasses depicting Haworth ... through the eyes of those who live and work here is officially launched today. The project has been organised by Chris and Sandra McCarthy, and is showing on the outside wall at the Black Bull from 19th July to the 3rd August 2008. The finished work will be dismantled on 4th August and the individual canvasses become the property of the individuals that created them. A number of the finished canvasses will be donated for auction at the Black Bull on 7th September at 6pm.